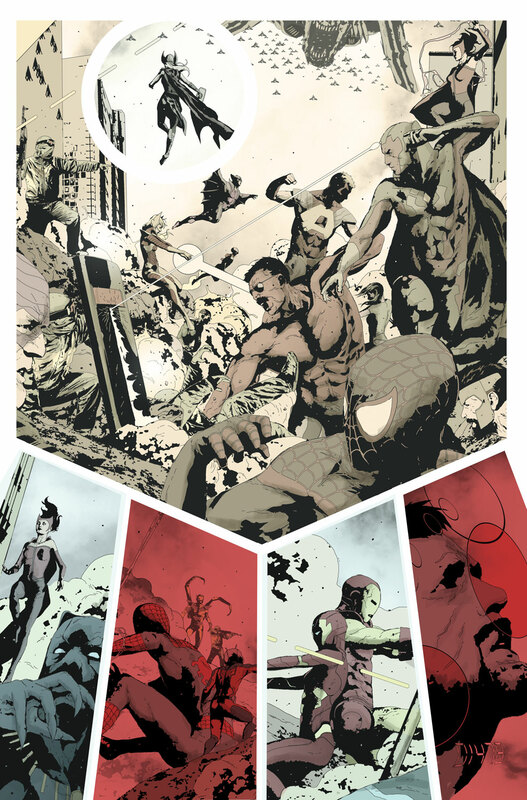 Free Comic Book Day Brings The Marvel Universe to Your Local Comic Shop! The biggest heroes, the biggest creators and the biggest stories are coming to FREE COMIC BOOK DAY 2017! Featuring blockbuster lead-ins to some of Marvel’s biggest upcoming titles, it’s never been a better time to jump headfirst into the Marvel Universe! 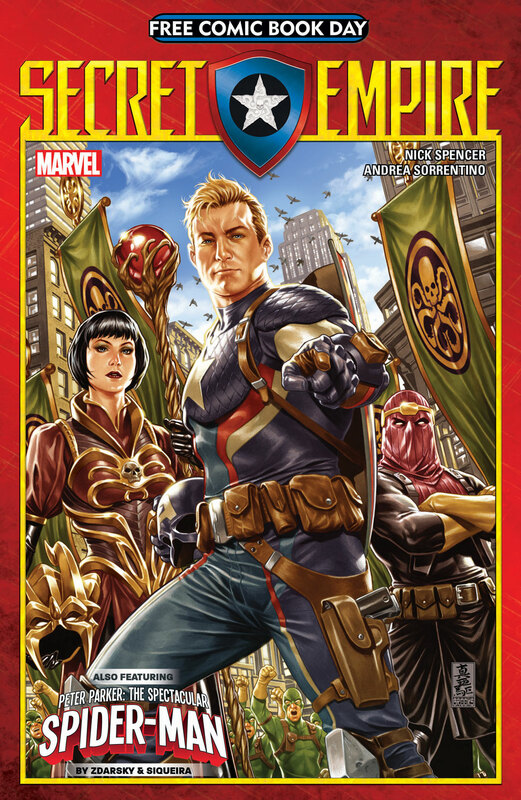 But you won’t have to wait till May 6th to get a taste of what’s in store, because Marvel is pleased to present the first interior pages from this year’s Free Comic Book Day titles – SECRET EMPIRE FCBD #1 and ALL-NEW GUARDIANS OF THE GALAXY FCBD #1! First up, the stage is set for a blockbuster comic event unlike any other as heroes must unite in SECRET EMPIRE FCBD #1. 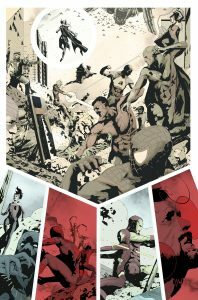 As Hydra puts their plans into action, Nick Spencer and Andrea Sorrentino bring you the opening salvo in a story that will rock the Marvel Universe and leave fans jaws on the floor! 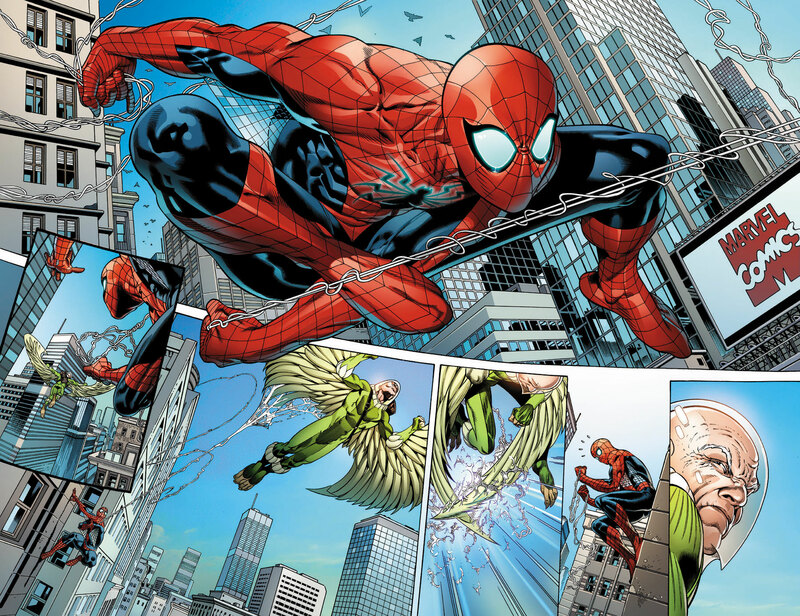 After your head stops spinning, get a sneak peek at the highly-anticipated PETER PARKER: THE SPECTACULAR SPIDER-MAN, as writer Chip Zdarsky and artist Paulo Siqueira return the titular hero to his friendly neighborhood of NYC for a thrilling new ongoing series! Then, blast off as Gerry Duggan, Aaron Kuder and Ive Svorcina bring you over-the-top action and out-of-this-world adventure in ALL-NEW GUARDIANS OF THE GALAXY #1 FCBD! Star-Lord, Drax, Gamora, Rocket Raccoon and Groot head back to the stars just in time for their new ongoing series! 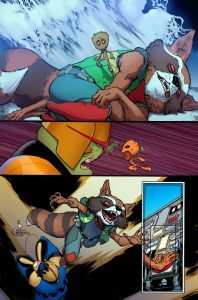 That is, if they survive a run in with the new Nova Corps! 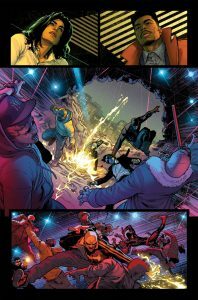 Finally, head back down to the mean streets of Hell’s Kitchen as Brian Michael Bendis, David Marquez and Justin Ponsor bring you a look inside THE DEFENDERS! Daredevil, Jessica Jones, Luke Cage and Iron Fist unite as they go head-to-head with a new criminal element in the Marvel Universe! The only place to get these highly-anticipated stories is at your local comic shop! Be there on May 6th for 40 pages of super hero thrills in the mighty Marvel manner! 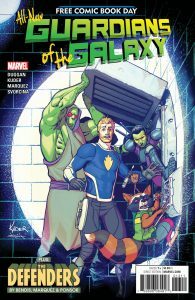 Run don’t, walk to your local comic shop on Free Comic Book Day to get your hands on ALL-NEW GUARDIANS OF THE GALAXY FCBD #1 and SECRET EMPIRE #1 FCBD! 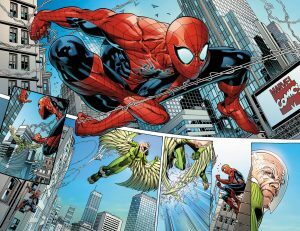 To find a comic shop near you, visit comicshoplocator.com!